Buying natural skin care products just got a little easier with the new EWG VERIFIED™ mark. Look for it when buying products for your skin, hair, and body to avoid harmful toxins and chemicals. You’ve heard me talk about the need to keep toxins out of your food and your skincare products. I’ve given you some of my favorite natural beauty lines, but there are many great products on the market. Seeing as I only have one body, it’s hard to sample everything to know what’s best. 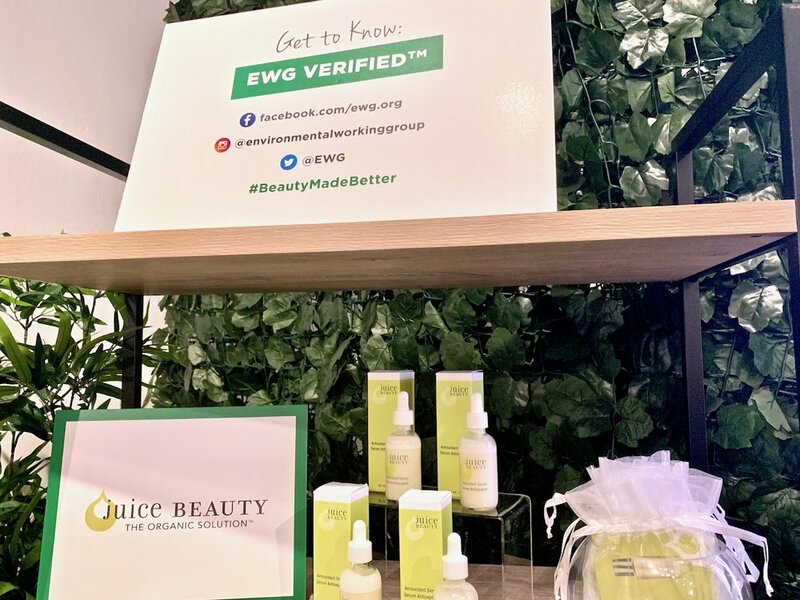 Luckily the Environmental Working Group has done the heavy lifting to make things even easier for buying natural skin care products with their new EWG VERIFIED™ mark. You’re probably already familiar with EWG’s Skin Deep website. This is the website I had been using to look up any new personal care products to see what sort of chemicals may or may not be lurking within. They rate products on a scale of 1 to 10, based on the ingredients they use. You always want to shoot for a green light 1 or 2 rating for the cleanest items. The only problem with this system is that the ratings are based on what ingredients are listed on the label. The thing is companies don’t have to list everything on the label or they can be super general and simply list “natural fragrance.” The word natural has no legal definition or regulation in the skincare world, or food world for that matter. I know I’ve had many reactions to these so-called “natural” fragrances before so it doesn’t always work for everyone. So EWG has upped their game and the standards for personal care products by creating a new standard. The EWG VERIFIED™ mark will now be displayed on products that achieve specific, high-level criteria. This criteria includes avoiding harmful ingredients that are listed on 271 pages of a document the EWG compiled. Isn’t it sad that there could actually be that many ingredients that we don’t want in our bodies? Companies must also provide full transparency and good manufacturing practices to receive the EWG VERIFIED™ mark. it’s not enough to have a green light on your product in the Skin Deep database. You must provide much more information to receive the EWG VERIFIED mark. The U.S. is strict about a lot of things, but sadly, not enough when it comes to toxin-free personal care products. Luckily, the EWG VERIFIED™ mark makes things easier to buy products with more confidence. There are already products labeled with the new mark for sale in stores and online, and more will be rolling out in the future as skincare companies go through the EWG’s 6-8 week review process. You can now visit the EWG’s VERIFIED website to check to see if your favorite natural skincare product has made the list. 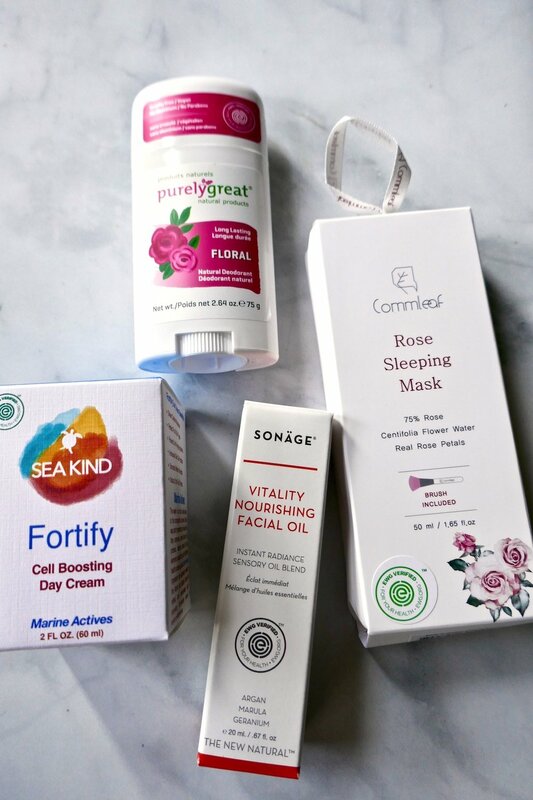 On the site, you can find over 1,300 healthy products from skin care to hair care, makeup, nails, sun case, baby and kids, and men’s products. Of course there is a fee for a company to become EWG VERIFIED™. It takes some work to review the products and uphold the standards. The fees depends on many things but it’s said to range from hundreds to thousands of dollars, depending on the size of the company. I can see the fee being a barrier to entry for some, but I can also see the revenue impact of getting the EWG VERIFIED™ mark. I know that I’ll feel more confident purchasing an EWG VERIFIED™ product since I know that they’ve met the rigorous criteria to receive the mark. At least there’s now two places that you can look to see if your skin care products minimize harmful ingredients. There’s the EWG’s Skin Deep website that examines the ingredients listed on the label. And now there’s the EWG’s VERIFIED website to see what companies have gone the extra mile to show that they’re creating a quality product with minimal toxins and a quality manufacturing process. Using both, along with some common sense, will help ensure you avoid as many harmful ingredients in your personal products as possible.